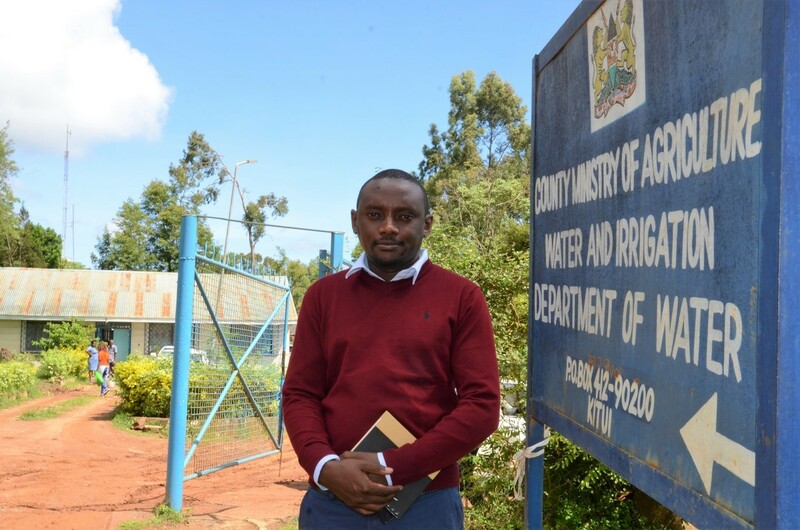 Cliff Nyaga has eight years of work experience in both urban and rural water service sub-sectors of Kenya. He is currently a Research Manager for REACH (Kitui Observatory) at the University of Oxford, and the USAID-funded Sustainable Water, Sanitation, and Hygiene (WASH) Systems Learning Partnership. 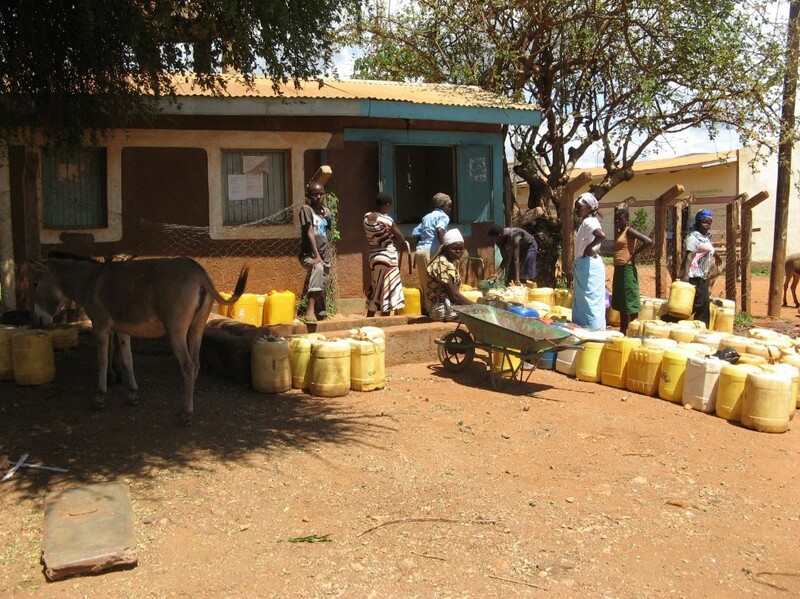 The two programmes are supporting institutional development and rural water sustainability in Kitui County, Kenya. Before joining Oxford, Cliff was a WASH Advisor to SNV Netherlands Development Organization in Kenya and was involved in technical assistance programmes aimed at improving the operation performance of water utilities in Kenya. He has previously managed a community-owned piped water supply (Kiamumbi Water Supply, which serves a peri-urban community of 6,000 people) in a novel pilot of private operator management model for community water. In this short feature, he shares with us key insights from his research. My research aims to build water secure institutions in fragile environments, with a focus on capacity development to effectively address the rural water services maintenance gap, which has contributed to the high levels of non-functionality of water infrastructure. I am working with REACH partners (UNICEF Kenya and University of Nairobi) in the Kitui Observatory to incubate the FundiFix model, which is a model for repair and maintenance of rural water supply infrastructure. The FundiFix model is based on the insurance logic that scale reduces financial risk and incorporates aspects of public-private partnerships to provide a replicable approach for in-country institutions responsible for water services to deliver universal coverage. The FundiFix model advances the following four pillars for operational sustainability of rural water supplies: (1) smart monitoring of functionality aided by GSM-enabled sensor technology, cloud computing, and a user interface, (2) incubation of local enterprises equipped with professional staff, tools, and spare parts, that offer maintenance and repair services to rural supplies within three to five days after a breakdown alert. 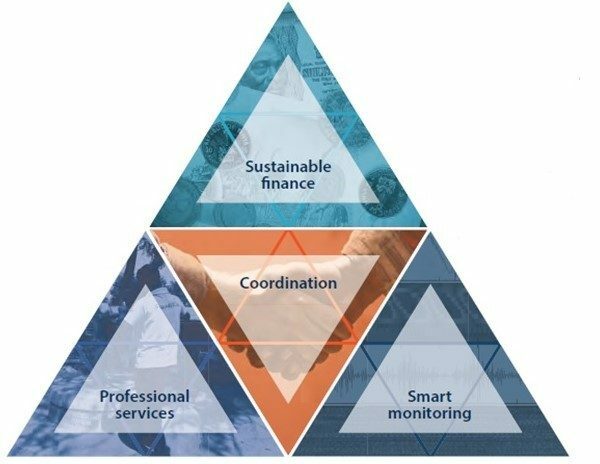 In turn, communities pay the service provider for a prompt and quality service, (3) a Trust Fund leveraging tariffs, taxes, and investments to ensure financial sustainability of the maintenance service, and (4) institutional coordination of all actors involved in water services delivery by government. My goals include the continual dissemination of evidence and learning among local actors, and facilitation of dialogue with the Kitui County Government on operational sustainability of rural water supplies to influence policy responses. Why is your research relevant and important in the Kenyan context? Half of Kenya’s rural population (or 17 million people) lacks access to basic water services and close to a third of the rural population relies on surface water for drinking needs (WHO/UNICEF, 2017). For Kenya and other countries in sub-Saharan Africa, high non-functionality of water supply infrastructure is a notable hurdle to the achievement of the sustainable development goal 6.1 of ensuring universal and equitable access to safe and affordable drinking water by 2030. Indeed, evidence shows that 25 percent of the water points are not working by their fourth year after installation. Kitui County is like 80 per cent of Kenya with an arid and semi-arid environment, meaning droughts and floods are common but increasingly unpredictable. Droughts are a major concern and when water supply infrastructure fails in these times people have few alternatives with the poorest and women hit hardest. In Kitui County, a water audit of key water infrastructure, supported by the REACH Programme and the Sustainable WASH Systems Learning Partnership, revealed that 38 percent of the 687 hand pumps and 29 percent of the 460 piped supplies mapped are not operational. Therefore, sustainably addressing the non-functionality of rural water supplies offers an opportunity to improve water services to over one million people living in rural Kitui in the short term, and to the 17 million people in rural Kenya without access to a basic service, in the long-term. My research activities in the Kitui Observatory include the demonstration of the FundiFix model in the study area of Mwingi North. A local FundiFix enterprise is already guaranteeing functionality by responding to breakdowns of community managed sources, primarily hand pumps and piped supplies serving local communities, schools, and health facilities. My work provides an opportunity to accelerate universal water service coverage by ensuring water supplies continue to work optimally many years after installation. What have been some of the early findings for your research? First, there is an opportunity for county governments to accelerate access to basic water services in rural Kenya by adopting and expanding the FundiFix model. 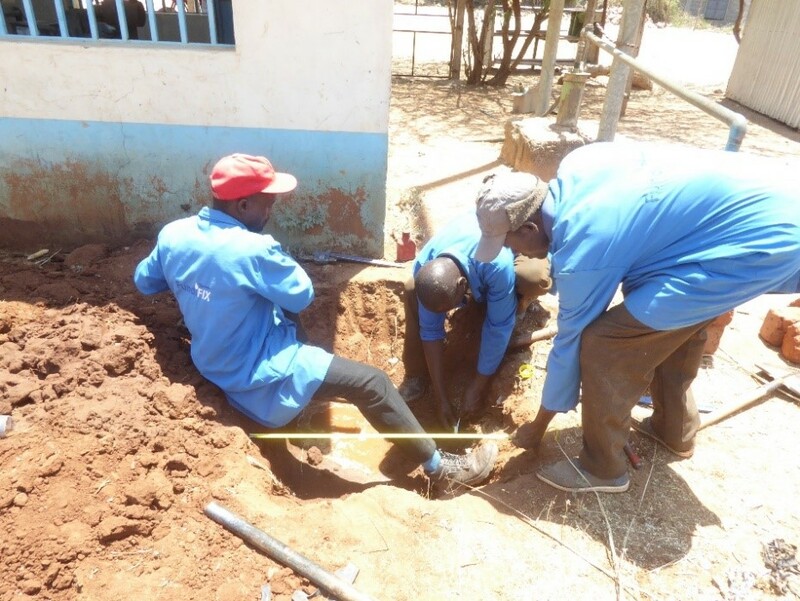 In Kitui County for instance, where a local FundiFix enterprise is working, 28 small piped water systems and 30 hand pumps serving local communities and schools have so far registered for performance-based and professional maintenance and repair services. In the last year, up to 95 percent of the reported breakdowns in these registered water systems were fixed within three days, securing reliable water access for over 57,000 people. 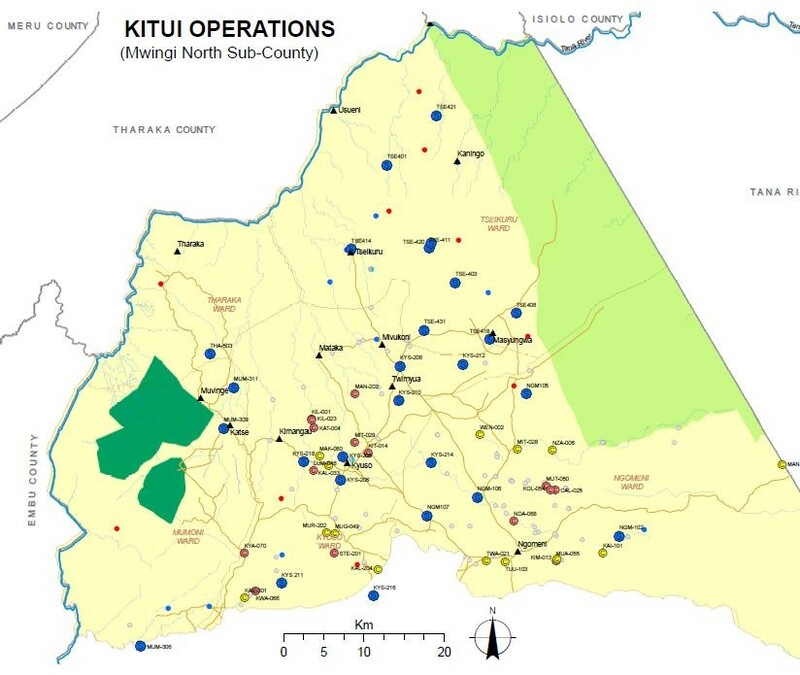 Second, preliminary analysis indicates that rainfall variability is more pronounced in some parts of Kitui, representing a risk to surface water resource availability. This ongoing work on understanding climate variability and risks for Kitui will be complemented by new work on understanding the variation in groundwater resources, which is a critical water resource in times of drought. Third, WASH forums are now convening all government, private sector, research groups, donors, and NGO actors in Kitui County to discuss and agree on new ways to coordinate activities and learn how to work more effectively together. The WASH forums are held quarterly and provide the actors with an avenue to interrogate emerging evidence from REACH supported research, including aspects of climate risks, groundwater resource and quality, household water access, uses, preferences, affordability, and equity among others. The meetings are also facilitating dialogue with WASH stakeholders on county priorities in order to achieve water security for all. What aspects of your research are you particularly excited about? My work on the FundiFix model demonstrates the potential for impact if adopted at scale. In both Kitui and Kwale Counties of Kenya, where the model is operational, over 76,000 people served by the 112 hand pumps and 28 piped schemes maintained by the local FundiFix enterprises now have access to a reliable water service. We work closely with the Government of Kenya’s Water Services Regulatory Board (WASREB) to align with national policy and support evidence of models and monitoring which will allow more transparent, effective and inclusive models for rural water sustainability to be tested with a pathway to uptake in the other 46 counties. For example, in November 2018, with UNICEF-Kenya, we convened a meeting with the water Ministers (County Executive Committee) from eight counties with similar challenges with interest to learn more collectively and test the model more widely. By disseminating evidence on status and performance of its rural water sub-sector, Kitui County has acknowledged the need to develop a new water services policy to address emerging gaps and has recently initiated a policy development process with local actors. This presents a unique opportunity to institutionalise emerging lessons from our work, including opportunities for sector monitoring, investment in maintenance, and private sector participation in water services delivery. The upcoming phase of the REACH programme will build on lessons learned to date, and interim research activities for Kitui will aim to understand: local hydrogeology; the feasibility of water quality monitoring and safety planning in rural contexts; actors in adoption of sensor-based monitoring of functionality of different water infrastructure types; and household water use behaviours and affordability. Insights from this work will certainly give me a better understanding of the local system and support the design of better institutional and policy responses.